When it comes to hybrids, Ugo Pavesi doesn’t want anyone to think that Transfluid does something « special ». Rather the reverse. He simply wants it accepted that « these systems are now just a norma[ component, something you can buy. in a choice of sizes. complete with warranty, manuals and drawings ». The change is on its way: the PLA’s latest patrol boat (presented at Seawork lnternational 2018) shows the technology is shedding its early, ‘exotic’ label as it’s to be fitted with a Transfluid hybrid module. The company has likewise come a long way in a relatively short time. Only five years ago Transfluid started « a very fast development path » said Pavesi: « We couldn’t wait around, we had to get ahead of the larger manufacturers or we’d tose our opening into the market. » So. how dici he beat Volvo and Siemens to the punch with more than 50 hybrids launched before the big boys put their offerings into the water? The answer is deceptively simple: rather than see a standardised approach to manufacturing as an ‘end goal’, start right there. « We began development keeping strictly to our norma[ production tools – nothing extra, » he underlined. Not everything went so smoothly. « we also started to manufacture our own permanent magnet electric motors as soon as we made the decision to produce hybrid systems », since these yield significantly greater efficiency and a smaller footprint. 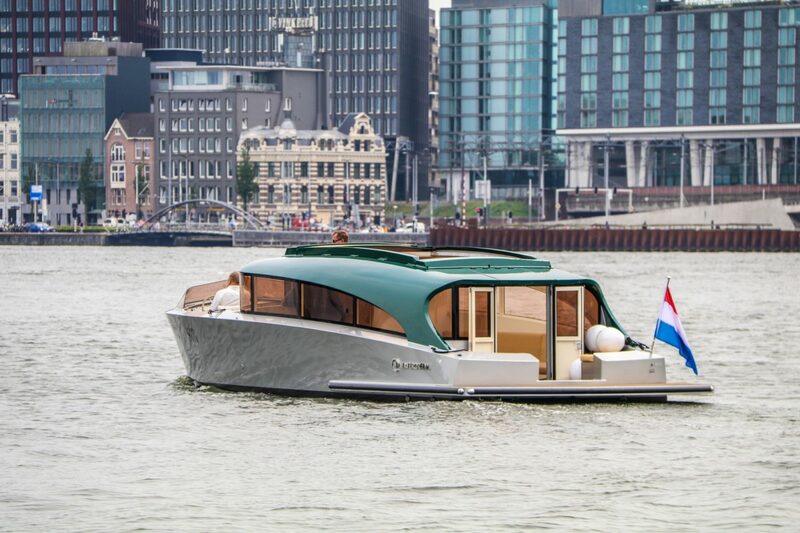 More recently the company acquired Dutch company Bellmarine, noted for its electric propulsion, which should help break into the city market « particularly Venice and Amsterdam » he said. « I guess it will be like aircon in cars, it used to be an optional extra – but today it’s delivered as standard, » he concluded.